The Chubb Sigma Deposit range of Counter Safes are quality cash safes to securely deposit cash, cheques and vouchers. As standard the safes are constructed with an 8mm steel door and 3mm steel body, with hardend steel plates to protect against drilling. 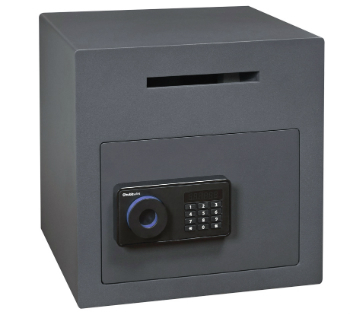 These quality deposit safes have a Cash Rating of £1,000 to guard against thieves.